We expected to have private access to a garden after six, based on information on the Demesne's website. We did not expect that we would have private access to a wonderland of parkland, formal and informal gardens, greenhouses, and four centuries' worth of technological, engineering, and botanical history sprawling across an area equivalent to the original Disneyland's acreage. What a stunning, delightful surpassing of our expectations we found on our arrival. 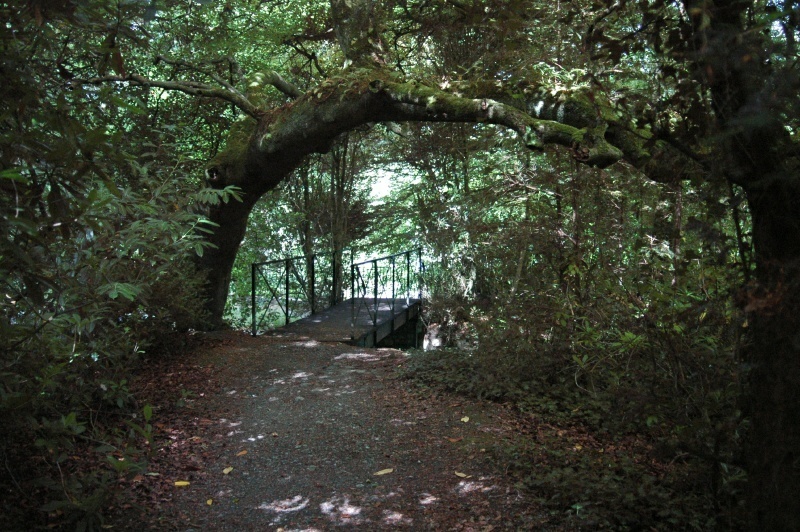 This is one of the footbridges connecting the Demesne's Inis Dara ("Island of the Oaks") to the "mainland".